It is only natural for every parent to worry about the future prospects of their child. By planning for your child’s future, you can translate those concerns into action. From your child’s schooling and health care needs to higher education and career options, every aspect is affected by the availability of finance. Financial planning is therefore crucial, as it helps you determine short, medium, and long-term goals. Financial planning helps you manage your income more efficiently, enabling you to meet not just the short-term goals, but also setting the path for those long-term objectives. When you regularly look at these plans, you can monitor and modify spending patterns to enable more savings. Financial planning for your children is also important as it helps them develop an appreciation and understanding of the value of money. Bringing up your children to become responsible adults should begin at an early age and introducing them to saving and investments with a junior bank account may be the first step in this direction. As a parent you will need to consider the costs of health care, education, marriage, and lots more. You will also need to consider all of these factors, taking into account future costs, as a result of inflation. While some of these events may seem to be in the distant future, they require early planning. It is important to make sound investments as part of your planning to meet these financial objectives. Just as important as it is for you to make financial plans for your child’s future, it is equally important to prepare your child for financial responsibilities. 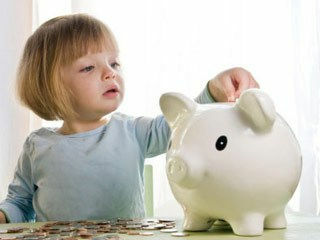 Parents can teach their children about savings by encouraging them to put their allowances in locked piggy banks. However, you may not always be around to keep watch and the most effective way of teaching your child about financial responsibility and banking would be by opening kid’s savings accounts. Children should be encouraged to deposit their money, whether received as birthday gifts, allowances or prizes, in their savings accounts. As your child learns that money deposited in a children savings account will earn interest and grow it increases interest in saving and investment. Parents can also teach their children about financial planning by encouraging them to save money to meet some expensive goals. They can keep track of the money they have deposited in their savings accounts to meet these objectives. It is very important for parents to ensure they do not splurge, as this sends the wrong signals. By giving them greater responsibility and control over their savings and the purchases made with those savings, you can give your child practical training and knowledge. To assist parents in their efforts to teach their children about banking and money, banks offer different kinds of products and accounts for juniors. The junior savings account, offered by Kotak Bank, is particularly noteworthy, as it even gives the minor account holder a personalized Junior ID card and various benefits, such as movie tickets, dining discounts, and other exclusive privileges. The account can even be combined with a systematic investment plan or recurring deposit for the future security of your children. This way you can invest for your little one and the savings can be used for his\her education, medical and various other purposes. So go ahead and take a big step for your little one!